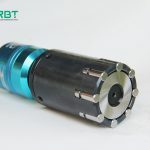 Ball diamond slides over the surface of the workpiece when it is loaded under the spring, Thus, the hardened smooth surface is obtained and ensures that the workpiece precision and tolerances are not destroyed. 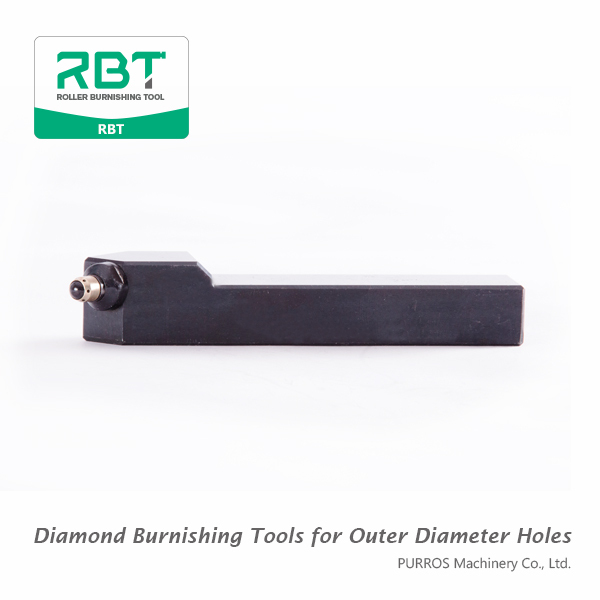 The Diamond Burnishing Tools can process the small diameter parts and thin wall parts. The workpiece hardness can be processed to 60HRC. As the diamond ball and the workpiece surface are point contact, so it can be used for the processing of various shapes, such as: outer circle, inner hole, end face, bevel, sphere. 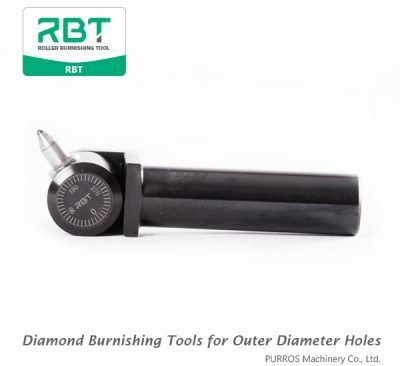 The Diamond Burnishing Tools installs on the lathe tool holder so that can match the center of the diamond ball with the center of the workpiece. 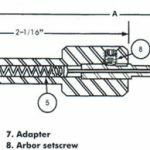 The load of the spring loaded in the hardness setting tool base on the material of the workpiece. 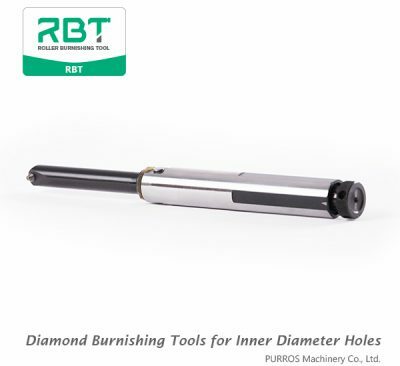 Rotational workpiece, manually make diamond spherical contact surface, the radial feed, visual surface roughness, machining a axial feeding trial, visual or instrument to measure roughness value, according to the roughness value adjustment pressure intake, to achieve the best surface roughness. Rotate the workpiece, Processing under the test process quantity and from the position of the processing part (about 1mm). After reaching the finishing position, then stop feeding, and the diamond ball leaves the workpiece, processing finished.